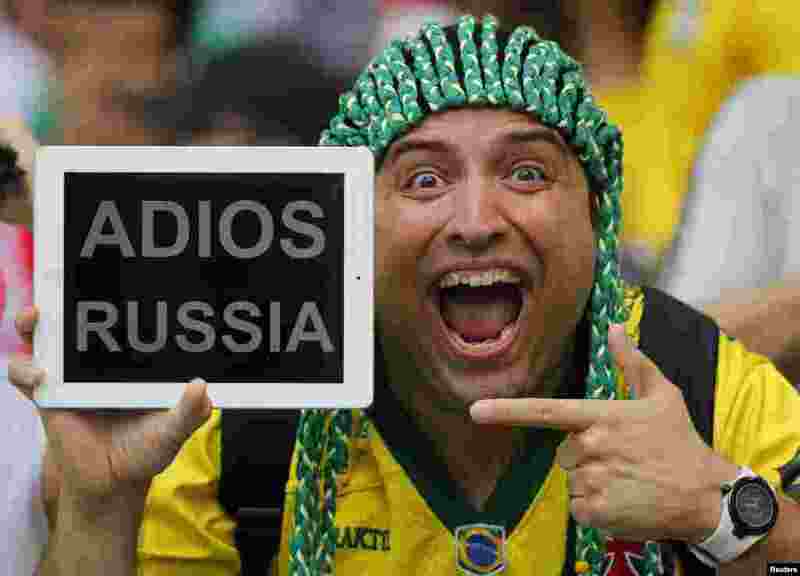 ۱ A spectator holds up a message for Russia before the start of the 2014 World Cup Group H soccer match against Belgium at Maracana stadium in Rio de Janeiro, Brazil. 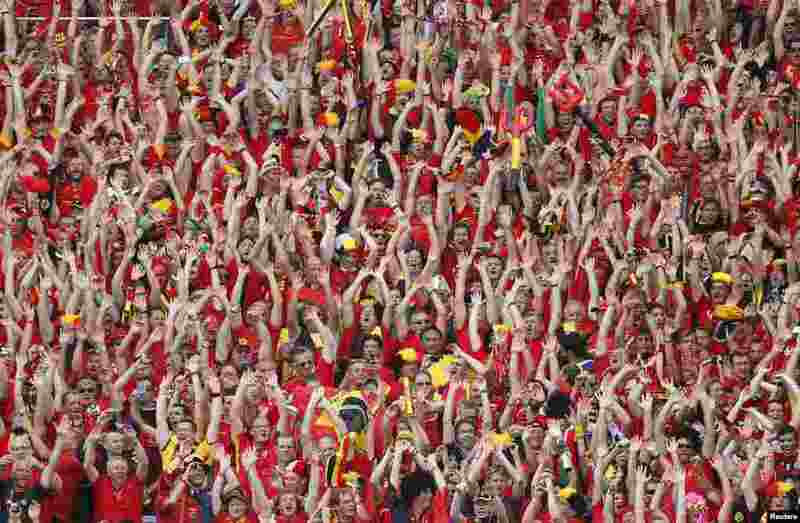 ۲ Belgian fans wave during their 2014 World Cup Group H soccer match against Russia at Maracana stadium in Rio de Janeiro June 22, 2014. 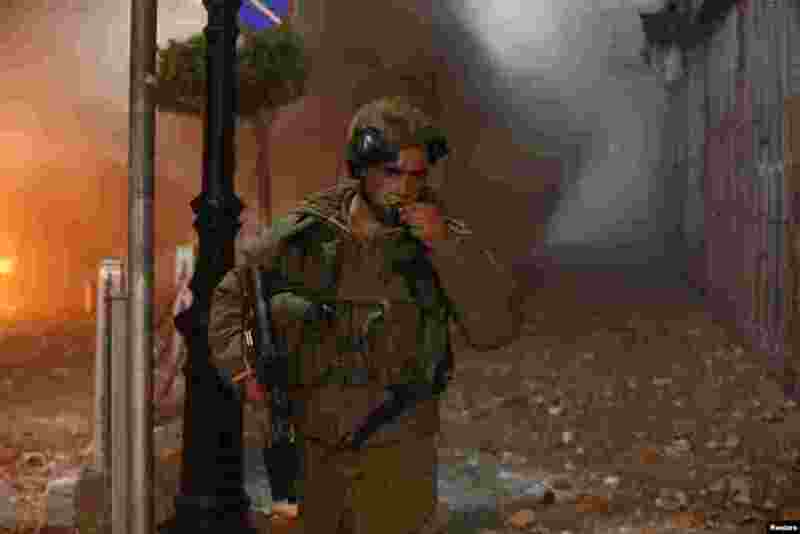 ۳ An Israeli soldier is seen during clashes with Palestinian stone throwers in the West Bank city of Ramallah. 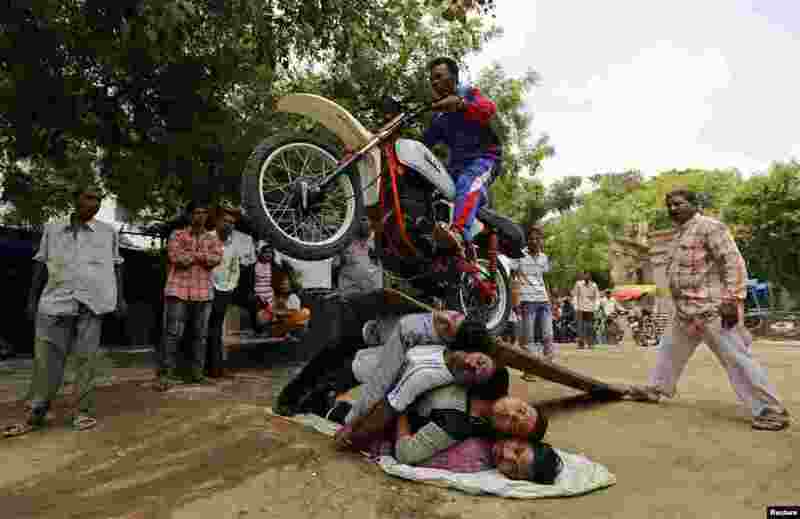 ۴ A Hindu devotee performs a stunt with his motorcycle during a rehearsal for the annual Rath Yatra, or chariot procession, in the western Indian city of Ahmedabad. The annual religious procession commemorates a journey by Hindu god Jagannath, his brother Balabhadra and sister Subhadra, in specially made chariots. 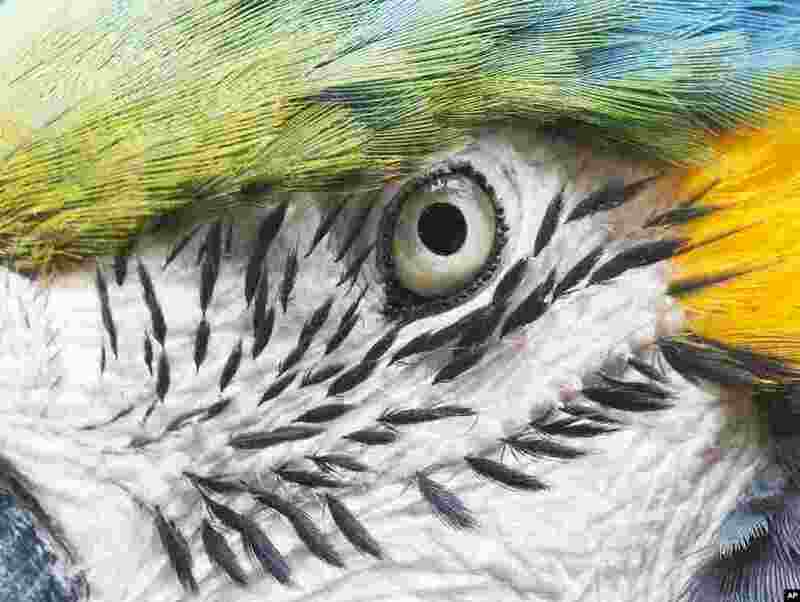 ۵ A blue-and-yellow Macaw parrot sits in his enclosure in the zoo in Gotha, Germany. 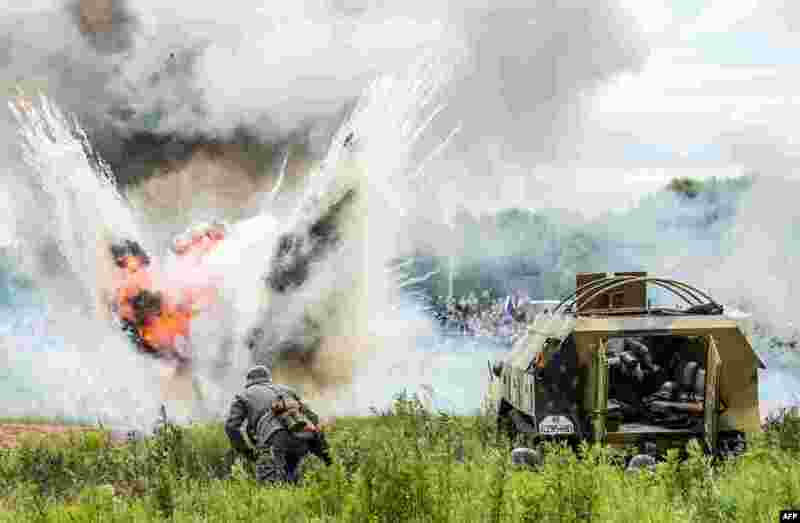 ۶ Military history enthusiasts dressed as Germany Nazi troops take part in the staged battle "Summer 1941" near the village of Ivanovskoye, some 60 km outside Moscow, Russia, during the "War of Motors 2014" Festival marking the 73rd anniversary of the Nazi invasion of the Soviet Union. 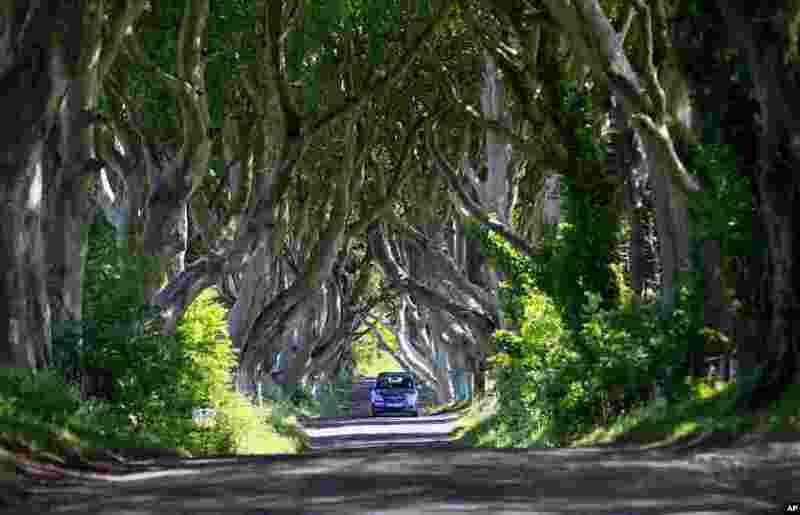 ۷ A car travels along the scenic avenue of beech trees at Dark Hedges situated 50 miles North from Belfast in County Antrim, Northern Ireland. 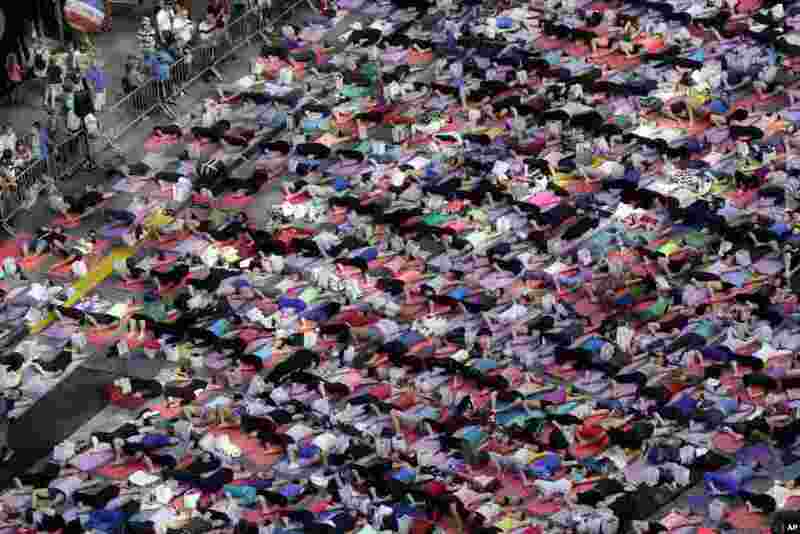 ۸ Thousands of New Yorkers are marking the first day of summer by practicing yoga in Times Square, during the 12th annual Solstice in Times Square, sponsored by the Times Square Alliance and Athleta, Gap Inc.'s exercise-wear brand, June 21, 2014.